A few years ago, I started a blog called Something Creative Every Day where I posted photos, illustrations, designs, short films, and any other creative work that I was producing at the time. I conceived of the concept during a creatively stagnant period of my life, and I hoped the blog would help inspire me out of the funk I was in. Luckily, it did. I kept up the daily work for nearly two years. Soon enough, I was out of an uninspired job and into one that was much more satisfying. Although keeping up the blog was often a challenge, it did help me through a very tough time and usher in a phase of creative joy and job fulfillment. Unfortunately (or fortunately, depending on the circumstances) not everything in life stays the same. 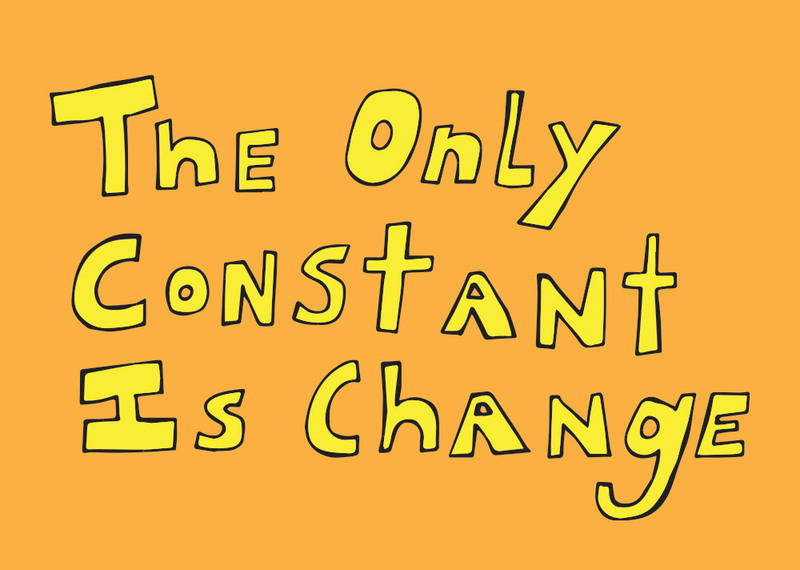 In fact, one thing is for certain, change is inevitable.